Last year was the best birthday I will ever have my entire life. My cake! Also enjoy Deyvi’s artwork on the wall behind us. Truly, breathtaking. It changes as the light changes in the room. It’s never the same work when you look at it. I have had some good ones in the past. Two years ago I was overwhelmed when a large group of skeptics surprised me at dinner with a present, champagne, and even called for a speech. I thought that would be my best birthday ever. This video shows what I thought was my best birthday ever, and it’s a highly rated number two! 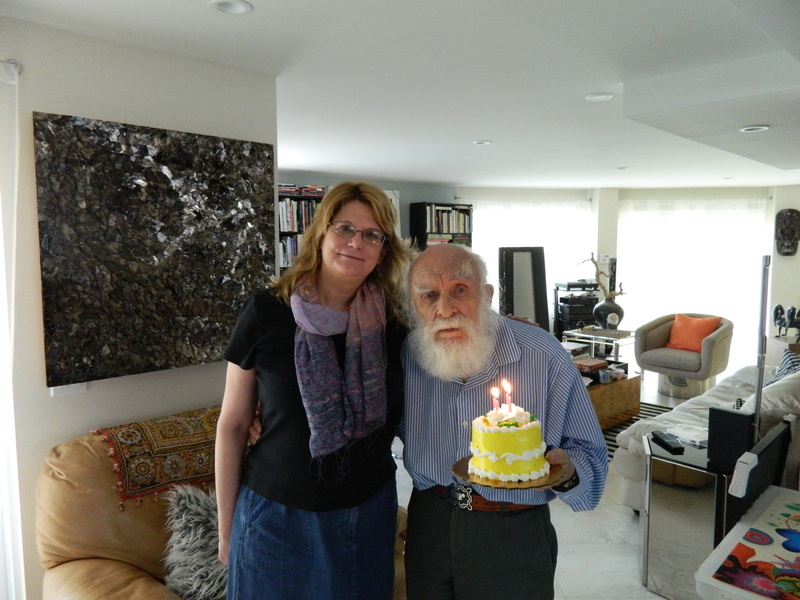 Still, last year my husband, Mark, and I had flown down to Ft.Lauderdale Florida to see our friend James Randi and his partner Deyvi. My visit was coincidentally on my birthday, this just happened to be the best day for them to see us. I thought just having the honor to visit Randi and Deyvi at their home was present enough. However, we were greeted at the door only by Deyvi. Randi was out doing something. Randi was soon seen sneaking in the kitchen door. 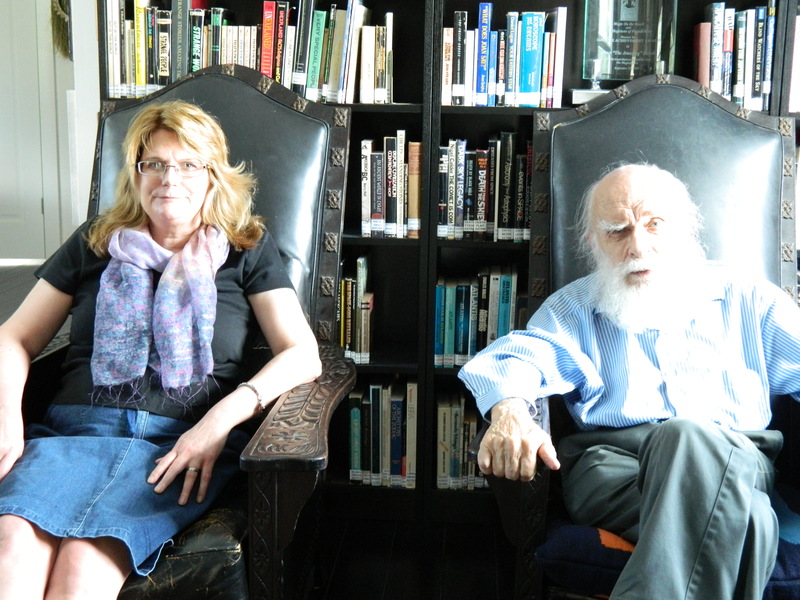 He took my husband and myself upstairs to see the magnificent JREF library. It’s not just a library, it’s a museum. 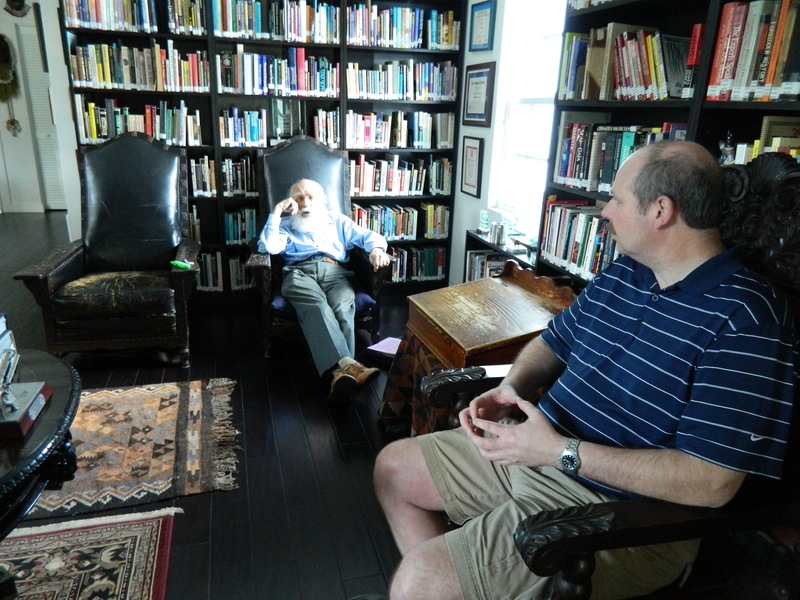 The JREF library at Randi’s home should be the inspiration for every library. I am a reader, in fact like “The Little Princess” I don’t just read books, I devour them like a wolf. I wanted to devour the entire library! But there was so much more to see besides books including optical illusions on the wall, historic magic posters, interesting wonders of science, and souvenirs from around the world. There is a story behind every object.This library is a reflection of the brilliant minds that use it. 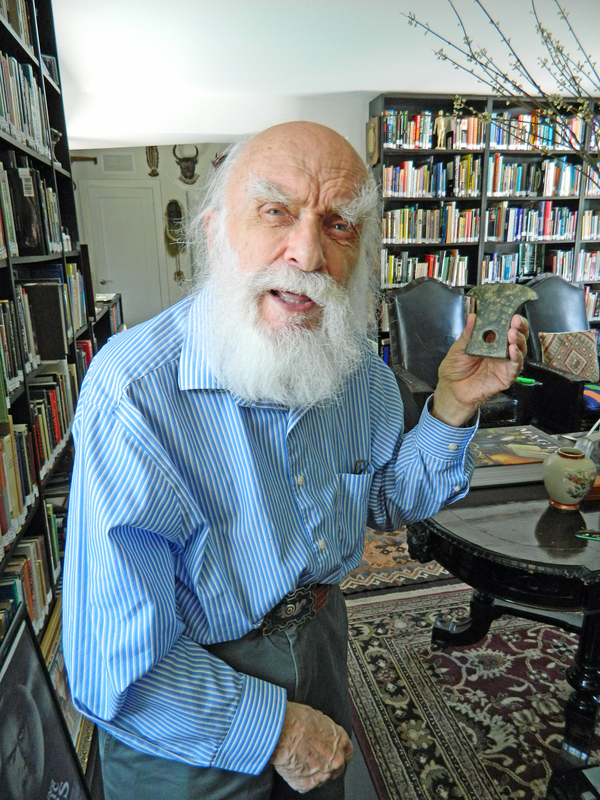 Randi explained it had been set up, having been moved from the JREF offices. He shared how the weight of the books had required some extra shoring up for the house. Also, he was pleased as it was a good place to be interviewed. There isn’t an uninteresting angle or shot in the library. We’re thinking deep skeptic thoughts in the library! While we were being entertained in the library, there were delicious smells wafting up from downstairs. Lunch was ready, Deyvi had been busy preparing it. Salmon and salad, it was delicious. Then even more enjoyment, exploring this remarkable home! Deyvi’s library space is on the first floor. Also, his artwork is everywhere. You just are overwhelmed by how his art makes this home even more beautiful. His rock pieces are especially well suited for this sunny Florida home. As the light hits the piece, the piece changes. It’s like a chameleon work of art, made of natural stone and the look determined by the beautiful natural light in the home. Time for CAKE, of course they had not forgotten it was my birthday. 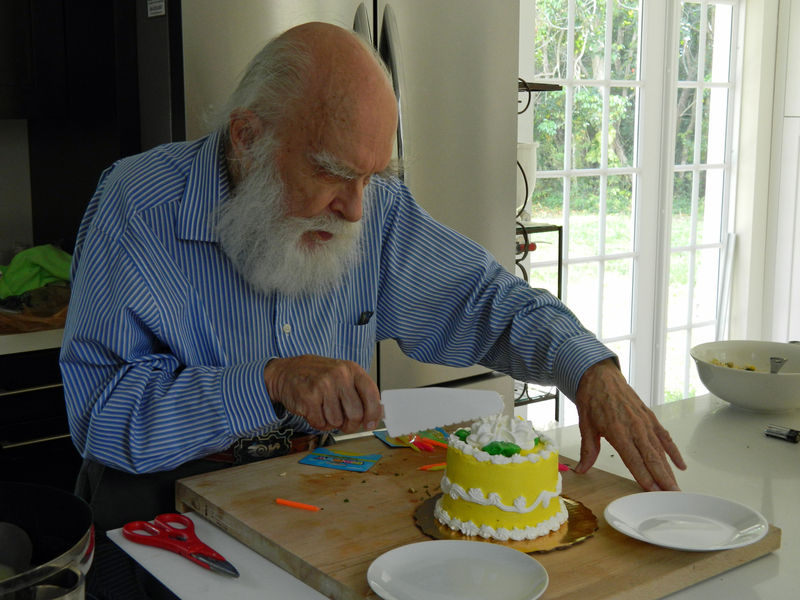 So, Randi cut the cake (If he can cut a woman in half, he can cut cake!). Unlike the magic assistant, this cake will not come back together whole once Randi cuts it. The best though was still coming. Deyvi is a talented and successful artist. He came over with one of his feather paintings, and it took me a few minutes to figure out, this was a gift for me. I can’t even express how much this gift still means to me and my entire family. Feather painting by Deyvi. I framed my gift in a darker frame to reflect the rustic look of the cabin where it now hangs. The gift was one of his feather paintings. My husband and Deyvi quickly figured out how to ship it to our home here in New England. My husband helped me pick out just the perfect frame for it later, and we thought for a long time for the perfect place to hang it. We finally decided that our new room at our small cabin was perfect. It has started to become our own skeptic museum/library. Our hope is that this small cabin will stay in the family, where generations can enjoy Deyvi’s feather painting. This is how he earns his living, so when an artist gives you a piece of their work, it is truly a generous gift. There is a story for every object, and this is a working home. Deyvi has some art he’s working on, and Randi is of course always busy writing and planning his next adventure or trip. The best part for me was seeing how well my husband got along with Randi and Deyvi. He’s heard about them for years, and admires them so much. This was his first chance to spend time with them. When you love people, you want them to love each other. My husband, while of course admiring these 2 men before, came away saying how much he truly had never met a nicer couple. He gave Deyvi lots of “advice” about his art that involved precious rocks. He wasn’t joking when he told Deyvi to make something with a sphere. The crafting of such creations fascinated him, and my husband has on several occasions wondered if Deyvi had “tried a sphere yet”. 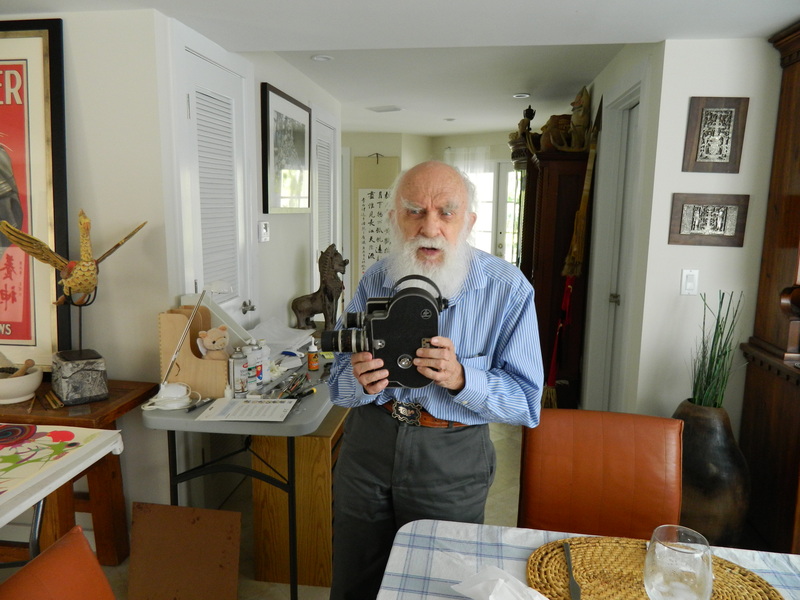 Randi of course captivated my husband, with stories and they both really enjoyed playing around with an old film camera Randi owned. 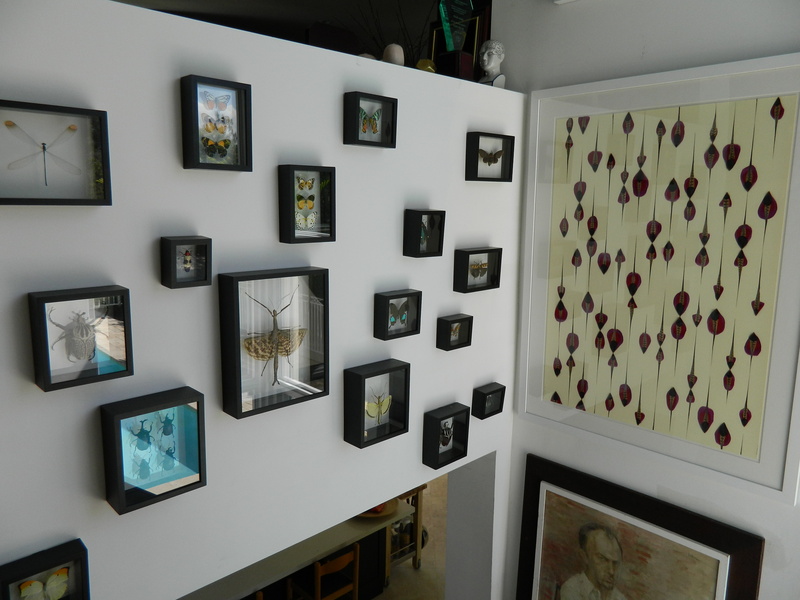 We also enjoyed the fact that almost everything in the home has a reason for being there, and a story behind it. I understand some people hire interior decorators. However, Randi and Deyvi’s home is decorated with their adventures, their interests, and things that have special meaning. 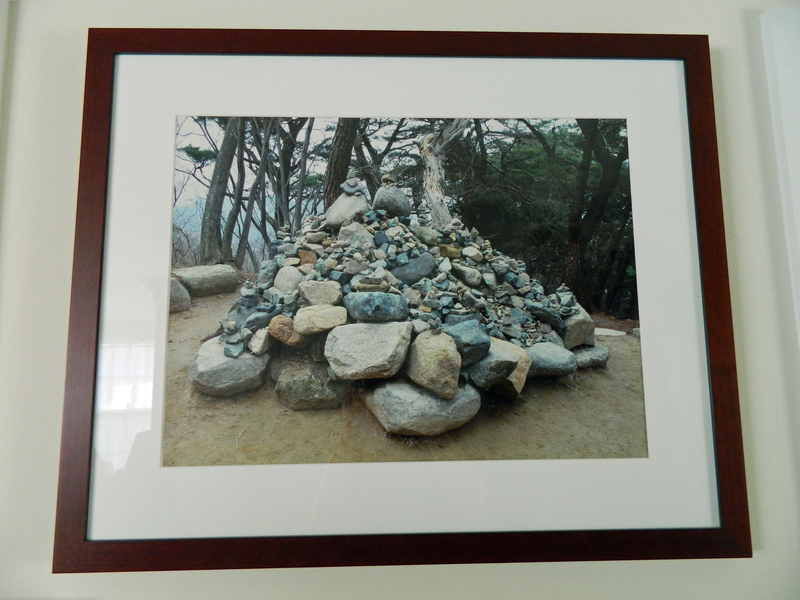 One photograph on their wall is of a pile or rocks. The story, which I am sure I am remembering imperfectly, was that this was a pile of rocks that represented people’s troubles. It was at the top of a mountain. If you had a big trouble, you carried a big rock to the top of the mountain. A smaller trouble meant a smaller rock. After carrying your rock to the mountain top, you left it there. The pile represented the trouble people wanted to put behind them. It represents the need to move on and not let your past determine your future. 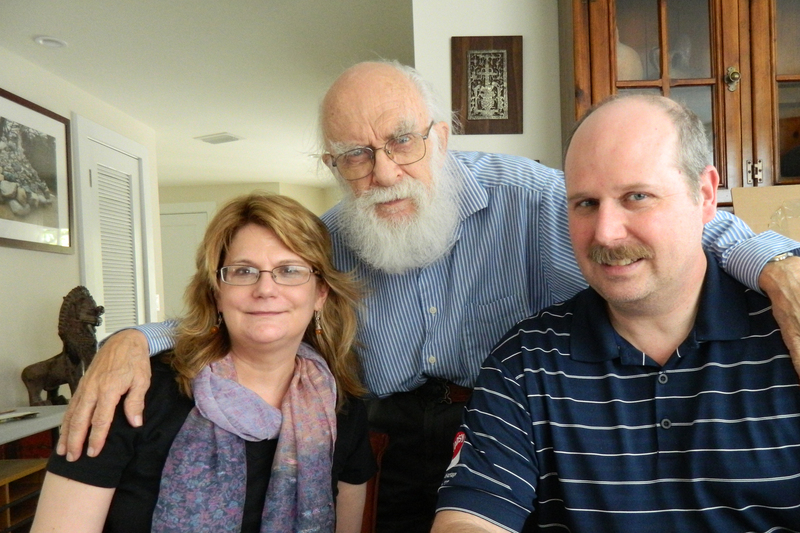 Mark truly respects both Randi and Deyvi, he had a wonderful visit also! Anyway, I went away knowing, that if I had planned my favorite birthday ever, I would never have planned one as special as this one was. 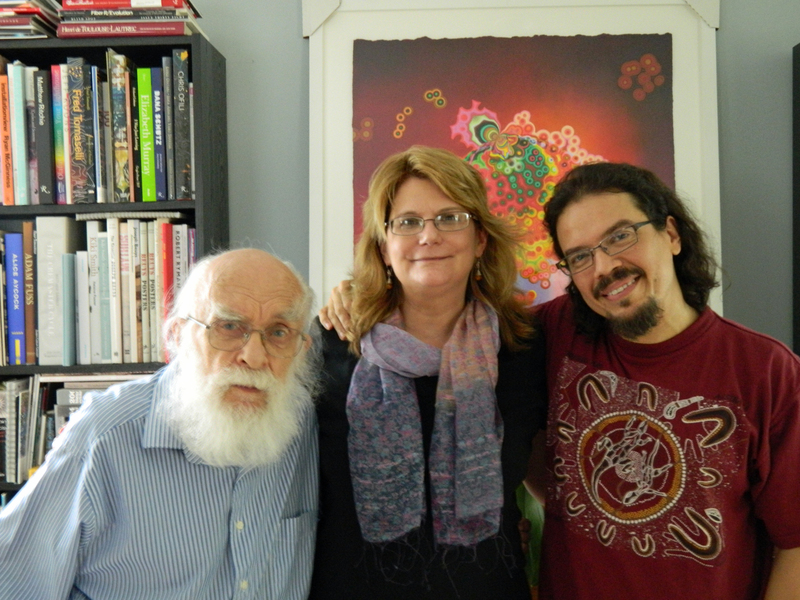 When your heroes, Randi and Deyvi, go out of their way to make you feel appreciated, you can ask for nothing more. The memory of that birthday is truly the best gift I have ever been given. Also, it inspired me to work on our family library. I am making sure things that are truly important, such as a signed Randi poster and Deyvi’s artwork, hang where they can inspire others. Our homes should reflect who we are, and Randi and Deyvi have been very successful with their home reflecting who they are. Also, a home should be welcoming, a place where you want to say “Hey what is that?” rather than a home so perfect you are afraid to touch anything! The library space we are busy filling for our own home will be a “touch and ask questions” room, just like Randi and Deyvi’s. More Deyvi artwork behind us. We’re in Deyvi’s library area now. His colors are just magnificent, and he’s been very successful because of work like that behind us.